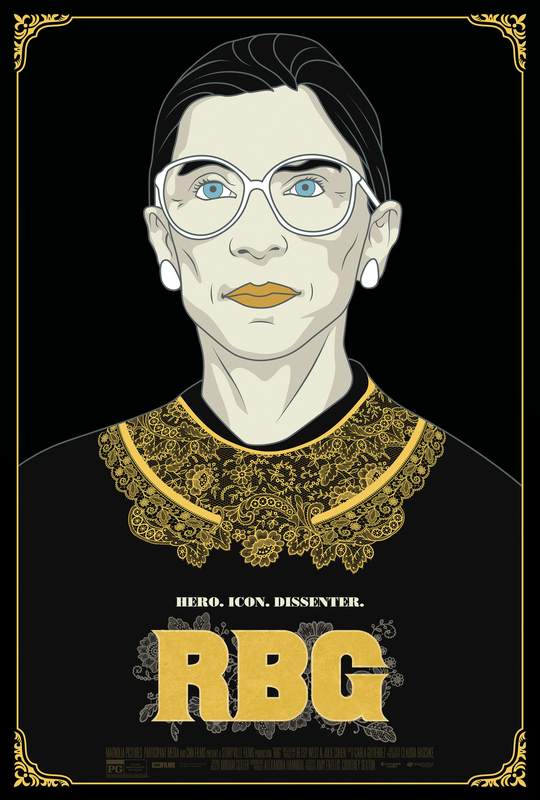 Ruth Bader Ginsburg, affectionately known as the Notorious RBG, is a soft-spoken, eighty-five year old woman who stands just an inch over five feet tall. She's a widow, grandmother, and also a Justice of the Supreme Court of the United States. Plane rides are where I catch up on the latest movies, and on my way back to campus from winter break, I started watching a documentary on this extraordinary woman. She has quite the resume: attending Cornell and Harvard Law School, topped with graduating tied for first in her class at Columbia Law School. At Harvard back in the fifties, she was among just nine women in a class with around five hundred men. She had fallen in love at Cornell and married right after, so she was working through law school and raising a family simultaneously. Her husband, Marty, she says, was the "first man I met who cared that I had a brain." He developed cancer during her time at Harvard and overcame it, but between taking care of him and their young daughter as well as doing her own coursework, two hours of sleep was all she got from night to night. Nevertheless, she says that "meeting Marty was the best thing that happened to me." Ruth and Marty had quite different personalities. While Marty was extroverted, described by friends as the life of the party, Ruth characterizes her younger self as "sober" and even "recessive." Both friends and coworkers point out her lack of participation in small talk. While she didn't put herself out there much, she definitely poured herself into her work. One of her law partners gushed over the reports she wrote, in awe of how she thought through every word - every single word. When sixty years ago, not one law firm in all of New York City would hire this woman, it makes me happy that she sits on the highest court in the nation today.